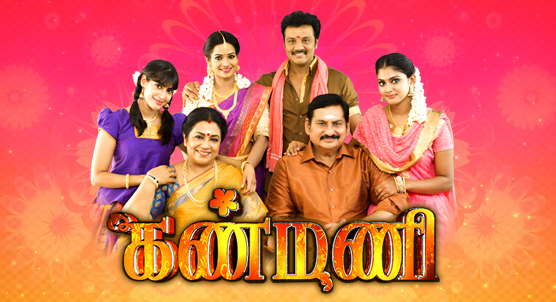 Kanmani is a family drama on Sun TV. Right from his childhood, Kannan is hopelessly in love with Soundarya, his sister Vijayalakshmi’s daughter. Though they get married amidst huge drama, his happiness is short-lived when Soundarya confesses to being in love with her collegemate, Akash. Will Kannan sacrifice his love for Soundarya’s love..